Providing you the best range of embroidered designer ladies chudidar suit, full cotton salwar set, salwar suit, wonderful unstitched salwar kameez, beautiful salwar suit and designer anarkali and lehenga suit with effective & timely delivery. Being an eminent name in the Designer Ladies suits segment, we take the pride to present to you a top-notch Embroidered Designer Ladies Chudidhar. Procured from reliable designers, the offered range enhances the fragile feminine beauty. Beside this, our sourced range provides comfort to our clients and is available at low market rate. Well known for its elegant designs and beautiful mild colors, these Ladies designer suits are highly praised by ladies and girls. It is due to our ability to meet the bulk orders that we have been able to gain a commendable position in this domain. The optimum quality of the offered dresses is maintained at all times through various quality assurance checks conducted our team of quality controllers. Yaseen Tex deals in large range of products like unique Exclusive Designer Sarees, fancy Embroidered Sarees, Salwar Suits and Kurtis. All our Salwars and Kurtis are desgined by our best designers and we pride ourselves on our products made only in limited numbers or one of a kind. Import duties, taxes and charges are not included in the item price or shipping cost. These charges are buyer’s responsibility. Kindly check with your country’s custom office to determine what these additional costs will be. We are the Leading Supplier,Trader and Wholesaler of Full Cotton Salwar Set in Chennai,Tamilnadu,India. We are the Leading Trader,Supplier and Wholesaler for Awesome Collection Of Salwar Suit in Chennai,Tamilnadu,India. We are the Leading Supplier,Trader,Exporter and wholesaler of Wonderful Unstitched Salwar Kameez in Chennai,Tamilnadu,India. We are the Leading Supplier,Trader and Wholesaler of Beautiful Salwar Suit in Chennai,Tamilnadu,India. We are the Leading Supplier,Trader and Wholesaler of Designer Chanderi Suit in Chennai,Tamilnadu,India. 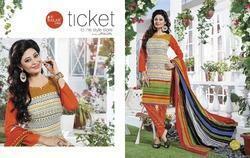 We are the Leading Supplier,Trader and Wholesaler of Indian Designer Salwar Suits in Chennai,Tamilnadu,India. Looking for Designer Ladies Suits ?